For far too long, mental health was considered a shameful health condition that was all your fault. 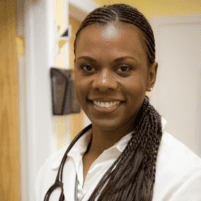 Andrea Perez, DO, is working hard to help change the stigma surrounding mental health and provides expert medical treatment to the communities of the Bronx, West Farms, and Parkchester neighborhoods of New York City to improve your mental wellness. Whether it’s depression, anxiety, or bipolar disorder, Dr. Perez can help. Call Health Development & Restorative Medicine, PC to schedule an appointment, or use the online booking button. Mental health refers to the wellbeing of your psychological and emotional health. Like your physical health, your mental health requires a regular assessment to ensure overall wellness. Dr. Perez conducts regular mental health checks for all her patients, including children, at each visit. What are common mental health conditions? Mental health conditions affect each person differently and require personalized care. Dr. Perez is well-known for her ability to relate to all of her patients and can engage even the most resistant to ensure they get the care they need. Though it’s normal to feel sad or anxious every once in a while, if your feelings or moods are affecting your ability to complete everyday tasks or your ability and desire to interact with others, it’s time to seek help from Dr. Perez. There’s no shame in asking for help, and it may help you get to a better place faster. If you’re having suicidal thoughts, call the National Suicide Hotline 800-273-8255, or go to the nearest emergency room. What treatments are available for mental health? Treatment for mental health depends on the underlying cause, the severity of your symptoms, and your physical health. To lift your mood or reduce anxiety, Dr. Perez may prescribe medication. Dr. Perez is an integrative physician and may incorporate traditional medical practices with alternative medicine, such as supplements of acupuncture, to help you feel better. Cognitive behavioral therapy may also be recommended, and Dr. Perez can refer you to an excellent counselor to help you get the additional help you need. Dr. Perez is a caring and compassionate physician who knows that mental health can affect your wellbeing like any other disease and provides a well-rounded treatment plan to help you on your road to recovery. Call Health Development & Restorative Medicine, PC today, or book an appointment using the online booking button.